In this fact sheet, students will learn about the costumes actors wore, what make-up was used and more. What costumes did actors wear? 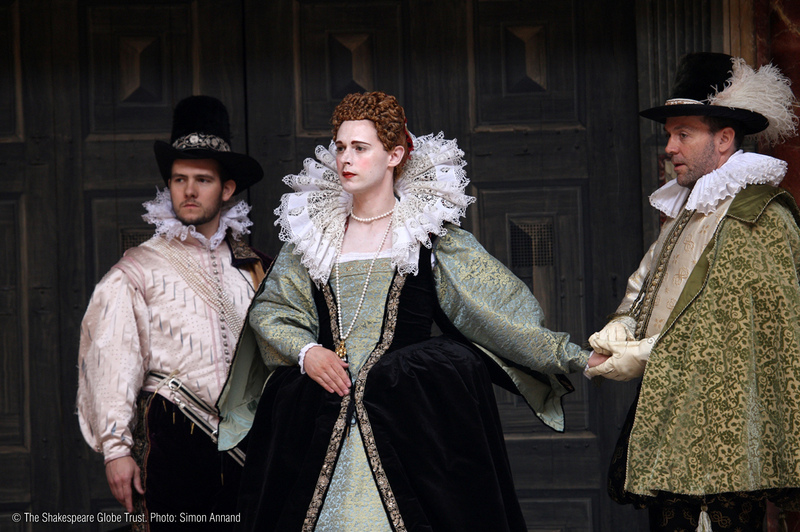 In Shakespeare’s time, clothes reflected a person’s status in society – there were laws controlling what you could wear. As plays had kings, queens and wealthy people in them, the actors’ costumes reflected their characters social status. Costumes were mainly the modern dress of the time. So for less important roles, actors might wear their own clothes. However, for a play set in ancient Greece or Rome, the company might try for an ‘ancient’ look for the important characters by giving the main characters togas over their normal clothes. The company reused costumes if they could – changing a cloak, or putting on some expensive lace. Sometimes they had to have a new costume made. 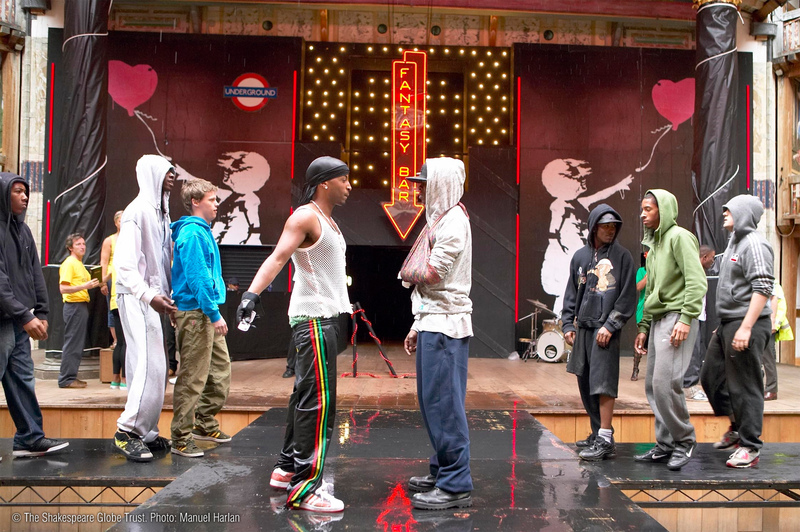 A company probably spent about £300 a year on costumes, which in todays money would be over £35,000! Some of the accounts for the Rose theatre have survived. These show that the owner, Henslowe, paid £20 10s 6d for just one black velvet cloak, embroidered with silver and gold. At about the same time he was paying, on average, £6 for a new play. In Shakespeare’s time all actors were male. Men and boys played all the female parts. As with the men, women’s costumes were usually ordinary clothes that reflected the social status of the character the actor was playing. They also wore wigs which, by their colour and styles, showed the age and status of their character. Where did the costumes come from? The company usually owned some costumes and reused them as often as possible. Actors left each other clothes in their wills, some sound as if they were costumes. Thomas Platter, a Swiss visitor to England in 1599, said that important people often left clothes to servants in their wills. The servants were not allowed to wear expensive clothes, so they sold them to actors. If the company had to have something made, they went to a tailor. How was stage make-up used? Stage make-up, like costumes, helped the audience to understand a character. Actors playing Moors wore make-up that made them seem dark-skinned. Paleskinned, fair women were said to be the most beautiful at the time. A white face, red cheeks and a blonde wig turned a boy actor into a beautiful young woman. Crushed pearls or silver could be added to make-up to produce a shimmering effect. This was especially effective in make-up for actors performing indoors by candlelight or for fairies (as in A Midsummer Night’s Dream). When two characters wore the same make-up and wigs (and often costumes too) you knew they were twins – even if they did not really look alike. In Shakespeare’s time, some natural ingredients used in make-up were harmless. Powdered hogs bones mixed with poppy oil gave boy actors playing women a pale skin. But this could also be produced by mixing poisonous white lead and vinegar in a concoction called ‘ceruse’. Who put the make-up on? We know from the accounts of the Rose theatre that people were hired to ‘paint the players’ faces’. However, this is not recorded often, and actors probably did their own make-up.